WeWork recently became the 6th most valuable startup in the world after its latest round of funding ($760M) brought its valuation to an eye-popping $20B. Many have questioned whether the company is over-valued, so I decided to explore how they became, what is referred to in the book Play Bigger, as a Category King and what they have done to capture such deep investor and public interest. Based on its latest Q3’17 round of financing and projected annual revenue of $1B for 2017, CB Insights calculated a 20x price-to-sales multiple for WeWork. Its multiple would be well over twice the size of Boston Properties, which has a price-to-sales ratio of 7.37, based on annual revenue of $2.5B. WeWork’s multiple is nearly 18x the size of co-working incumbent Regus, their most similar competitor. This would be in line with the Play Bigger research that shows that category leaders or “kings” command 76% of the market cap for the category. What’s interesting is that the idea of co-working sites is not new as there were a handful of early innovators, like Brad Neuberg, Hat Factory, Office Nomads, and Sandbox Suites who paved the way for the commercialization of a category that would only really take off after the *Great Recession (2008-2011) when property owners found themselves sitting on millions of square feet of unused space and were willing to consider the sub-leasing model. 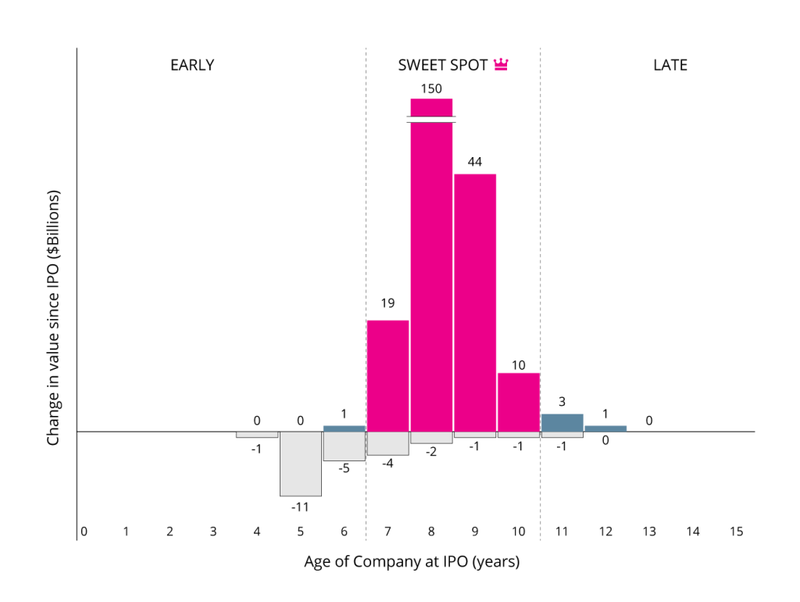 (*See Drew Jones’ paper on The Coworking Industry). Groupthink Bias: Humans’ pack mentality causes us to believe things because other people do. WeWork are written about in the press and social media far more frequently than their competitors. Choice Supportive Bias: Once people choose a king they always tend to believe it’s better, even if it’s not, which leads to a flywheel effect as the king gets stronger and competitors start to drop off. Conformity Bias: We behave similar to others in a group, even if doing so goes against our own judgment because the need to fit in is a uniquely human behaviour. Unlike others in the space, WeWork won a powerful place in people’s minds and did not allow themselves to be pigeon-holed into either the real estate category or labeled as a technology company. Their mission “to create a world where people work to make a life, not just a living” demonstrates a clear point of view that focused primarily on creating community-based support groups, but that added in well-designed work spaces and a brand cache that has allowed them to charge a premium. We are in the midst of an expanding global network of gig-economy entrepreneurs and freelancers. This resulted in 88% year-over-year growth for WeWork, based on estimated revenue of $532M in 2016 and projected revenue of $1B for 2017. 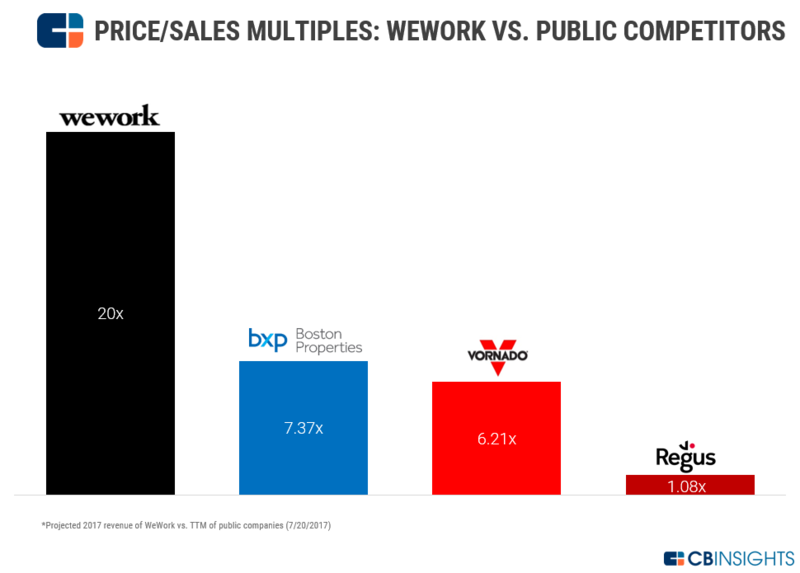 In comparison, WeWork’s public counterparts Boston Properties and Regus saw their revenues decrease by 1% over the same period. It’s clear that WeWork’s category design has been very effective in conditioning the market to see what they felt was missing from the vast and chaotic shared office business model. In doing so, they have opened up massive revenue opportunities beyond the scope of the traditional real estate and coworking models. 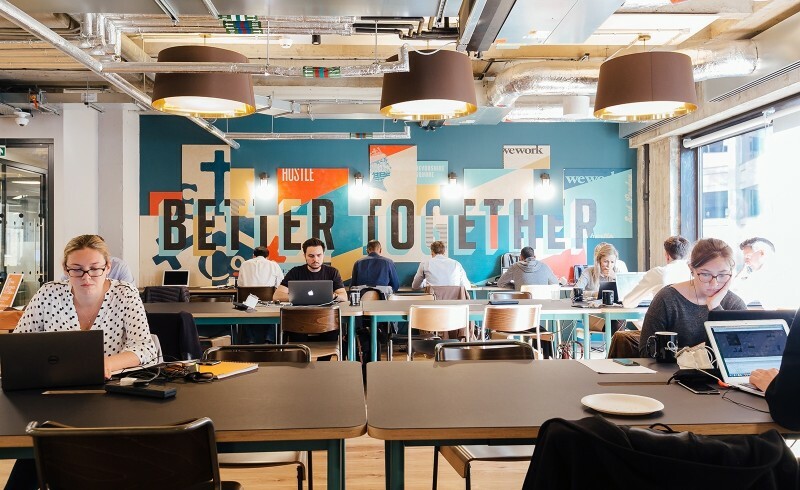 In July, 2015 Regus’ CEO, Mark Dixon, said of WeWork, “They do very well with their PR and their marketing and they’re talking about their business as if it’s a technology business. But it’s exactly what we do.” Mr. Dixon clearly underestimated the WeWork Effect, which may result in many big ‘ol companies getting Blockbustered – a term now synonymous with ignoring threats that are hidden in plain sight. So when we look at WeWork through the category design lens and realize its future revenue potential, their $20B valuation doesn’t seem that crazy after all. Can you think of any other examples of companies that have anchored a spot in your brain and made you realize a new problem you didn’t previously know you had? Please share your thoughts and experiences.